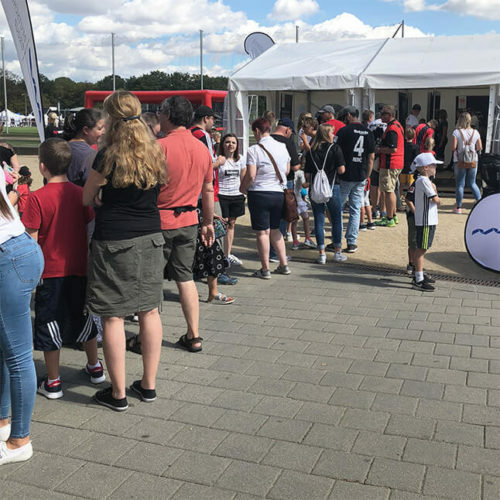 What do you do when 20,000 fans of the football club Eintracht Frankfurt spend a day at the stadium for the seasonal opening, but the team is not there? The players appear virtually. 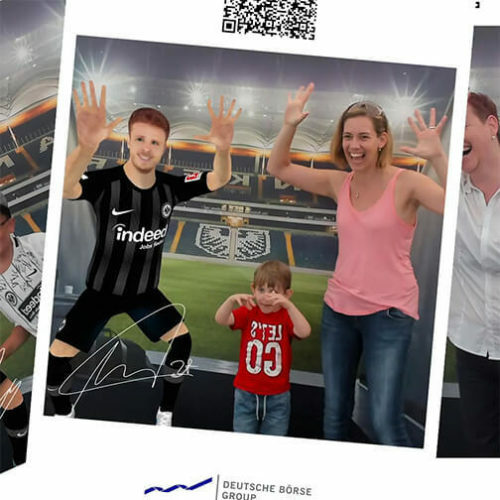 With augmented reality we brought the fans face-to-face with their idols Timothy Chandler and Nicolai Müller, and gave them the possibility to interact with the virtual players and capture a personal moment with a photo. Using motion capturing technology the computer-generated players were animated in real time by an actor, and were able to interact with the visitors in front of the camera. This created unique moments, bringing a smile to visitor’s faces as they created incredible memories. The installation consists of two large scale, high resolution 4K screens in portrait format and a 4k camera. One screen, the attractor screen, faced the passersby in order to generate curiosity and invite them to join it. 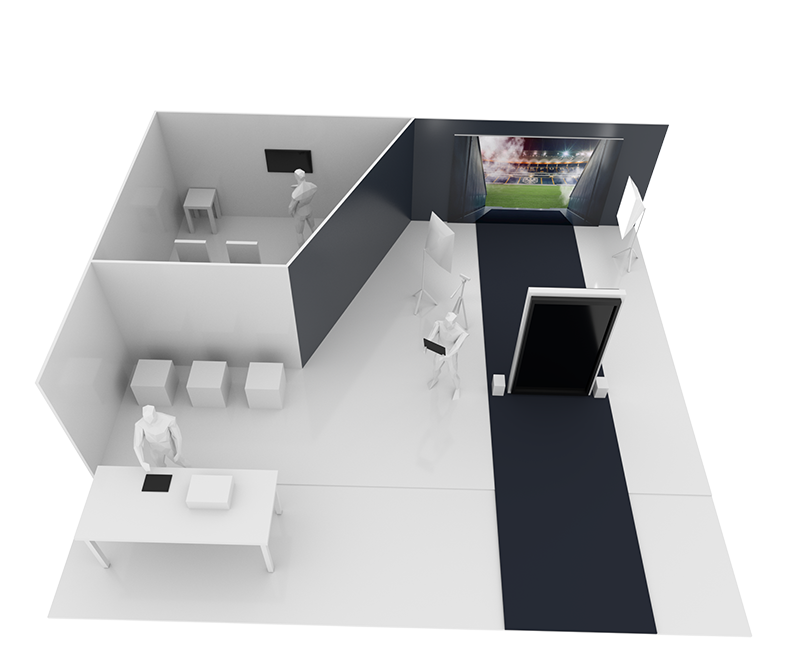 The experience screen, where the photo was taken, was oriented inwards to create a private atmosphere, where people were able to act naturally in front of the camera and could interact with the characters. The combination of an eye-catching and intimate photo area created a fun atmosphere both in front and behind the camera. In order to create the final fan photo, the camera image was enhanced with a digital player, which created the illusion of the player standing next to the visitor. Special shaders and lighting mechanisms were custom built for this experience, this allowed for flexible real time compositing of the camera image, visitor and the 3d model. Vas a result, both the virtual and real world came together in a harmonic unit. In order to bring the character to life, he is animated by an actor, who is not visible to the visitor. Because the player is not moving in predefined poses, but in real time with an actor that can adapt and react to each visitor, a magic moment is created that leads the visitor to perceive the character as a real human being. 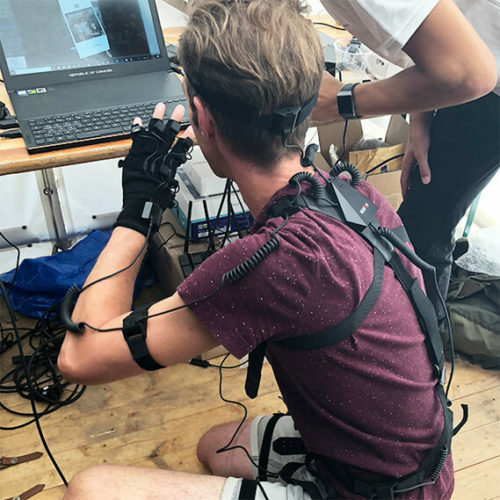 The actor was equipped with a motion capture system, that recorded over 50 points on his body and transmitted them in real time to the rendered 3d model. Additionally, he sees the camera image and can interact with every visitor individually, and can communicate with them through body language. 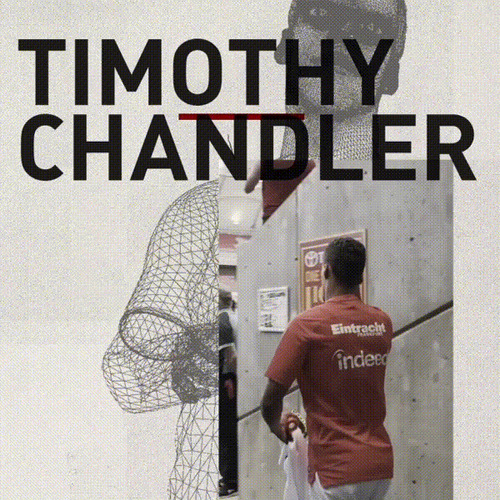 In order to create realistic 3d models of the players Chandler and Müller, they were captured with a photogrammetric scanner and reconstructed in 3d space. The geometry of the body, clothing as well as surfaces and color were subsequently adapted for best possible real time rendering. Custom shaders and lighting allowed for flexible real time compositing of the camera image, visitor and cg characters, in order to create a harmonic unit. Because the actor was able to interact with the audience in real time, this lead the visitors to think of the figure as a real human, and thus, a magic moment was created for the visitor. Thanks to AR, countless individual and emotional moments were created, ranging from hugs between fans and their heroes, to high fives and funny group poses. After a photo was taken, it was automatically uploaded, a qr-code was generated and a printout was created. The visitors got an analog memory as well as a digital image to share, which they could easily reach via qr-code. 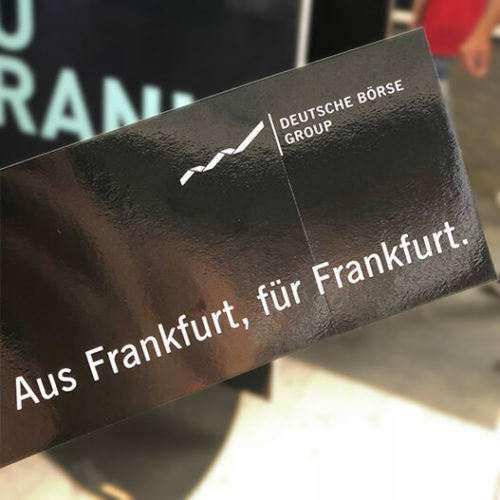 Over 500 people were happy with their own unique souvenir. The attractor screen faced the passer-by, in order to generate awareness of the installation and invite them to participate. 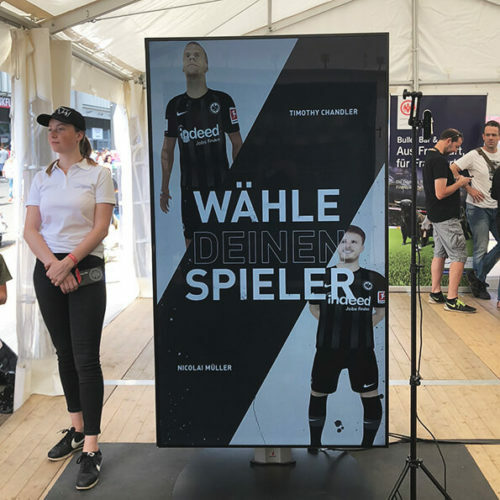 A trailer, that was custom-made for this experience, featured the Eintracht Frankfurt players and gave a first glimpse of the interactive experience. With the trailer, we raised the visitor’s expectations, and with the experience, we surpassed them. 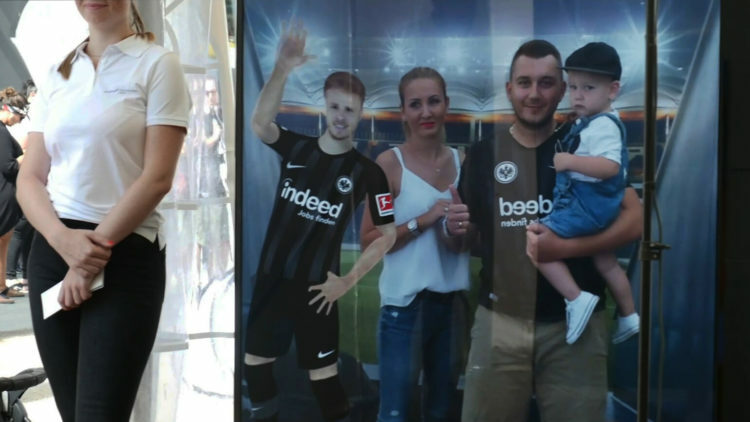 With the buddy mode we were able to create unforgettable experiences by bringing together football fans with their idols. Thanks to AR, countless individual and emotional moments were created - hugs between fans and their heroes, high fives and funny group poses. A several hour queue can’t be wrong.